Lightning Motorcycle CEO Richard Hatfield had spent 25 years doing what he thought he was supposed to do. Hatfield was fueled by the belief that an electric vehicle could not only outlast a combustion one but could also out-race it. 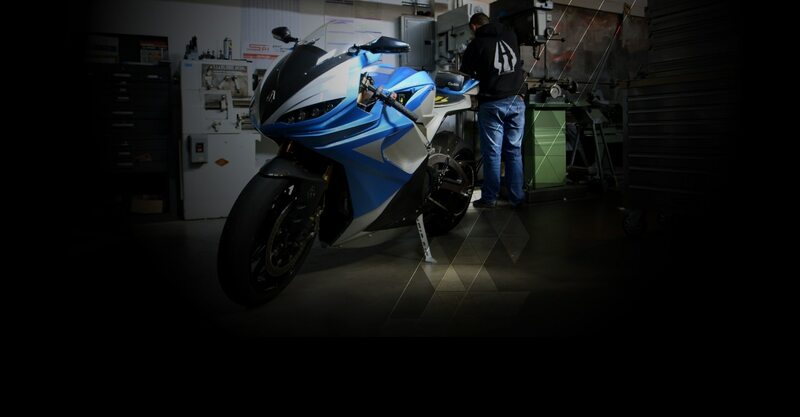 Could an electric motorcycle out-muscle a combustion motorcycle? After working out of Hatfield’s garage for a few years, the Lightning Motorcycle team moved into a shop in San Carlos with their sights set on beating the world’s fastest combustion motorcycles in a race. But they had a lot of catching up to do. They had to reinvent the wheel, so to speak. We asked Hatfield what helps propel him and his team. Keep your head down. Have an objective. Measure it. Improve. When you look up, you’ll find you’re better than anyone else. It’s empowering to know that doing something revolutionary can be so simple. Something anyone can do. Everything we accomplished happened quicker and was bigger than we ever thought we were capable of. It comes down to your ability to dream what’s possible. The biggest limits we face are self-imposed. DO YOU EVER DOUBT YOUR DREAMS? Hatfield says a race is won one small tweak at a time. The Lightning team designed and 3D printed prototypes, often multiple times a day. These incremental changes in weight, drag, and traction translated into significant gains in speed and range. After years of obsessive iterations, Lightning Motorcycle arrived at a bike that would soon become a world-beater. It’s a 12-mile, nearly 5,000-foot ascent to the finish line of the Pikes Peak International Hill Climb. The best cars and bikes in the world line up at the base of the climb. It’s Lightning Motorcycle’s first trip. Lightning doesn’t just win. It’s a landslide. They finish over 20 seconds ahead of their competition. In the world of superbikes, that’s like a year. Pretty soon, the big crews come calling. At the leaderboard, a couple of guys who finished further down in the standings promise next year they will bring more horsepower. In 2014, the design process took another leap forward when Lightning Motorcycle used a generative design tool that uses an iterative process to auto-design. This took Lightning Motorcycle's inputs and analyzed the stress placed on each part of the motorcycle swing arm. It then removed and added materials, conducted computerized tests, and iterated the process hundreds of times until the design was optimized for speed and range. The results were dazzling. By "ruining" a few bikes and designing for the future, the Lightning Motorcycle team achieved what no one thought possible. And they did it faster than anyone expected. Including them. Now Lightning Motorcycle is dreaming even bigger. Hatfield says they’re applying what they’ve learned from building high-speed electric bikes to a new vehicle that will be a quantum leap from where we are today. And we won’t have to wait long. It’s going to be on the road in two years.